As with many instrument families, the trumpet family has a range of different sizes and keys of instruments. 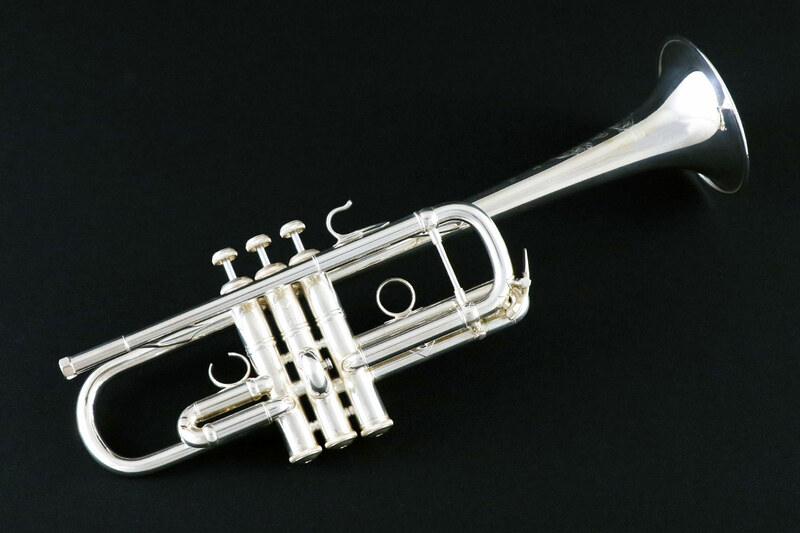 The Bb trumpet is the most popular and universally-used trumpet in the world. The Bb trumpet is used everywhere from jazz clubs to concert halls across the world. 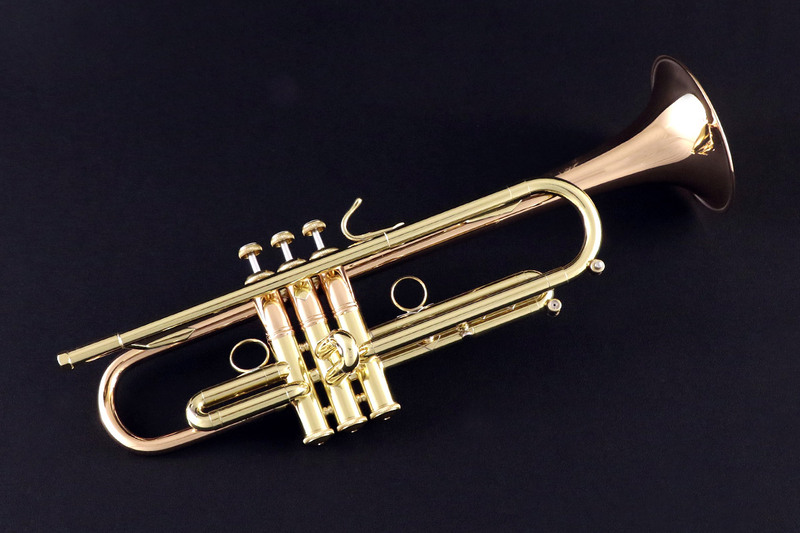 This trumpet is referred to as the Bb trumpet because when a player sounds a C on this instrument, it sounds a concert Bb. 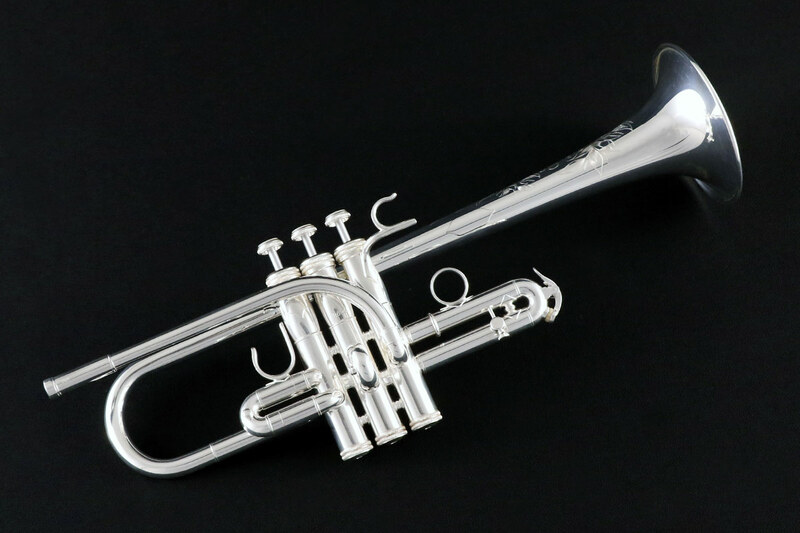 The C trumpet is commonly used in orchestral settings. These trumpets tend to have a larger bore size than Bb trumpets and can have a more brilliant tone. D and Eb trumpets are more rarely used and are sometimes referred to as harmony trumpets. 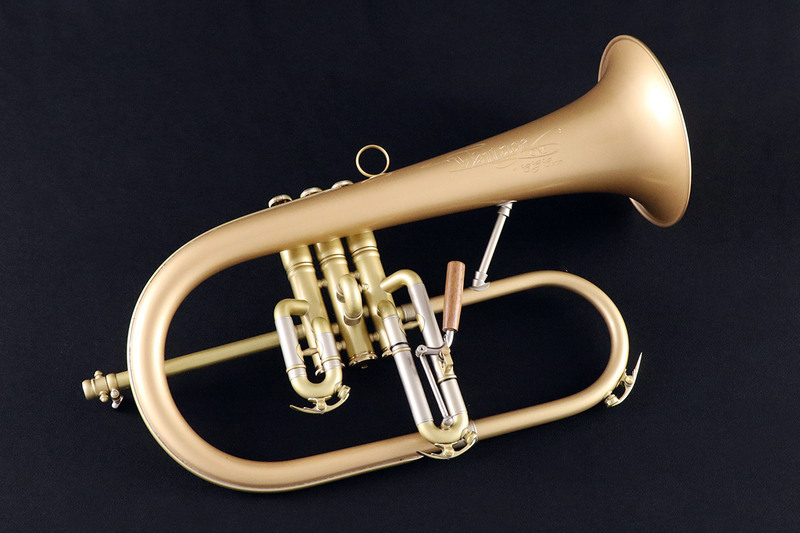 Pitched in D and / or Eb, they can be used in brass ensemble and wind band settings, as well as for performances of the famous Haydn and Hummel concerti. The modern piccolo trumpet was made famous by Maurice André, and is commonly used for performances of Baroque trumpet solo repertoire. 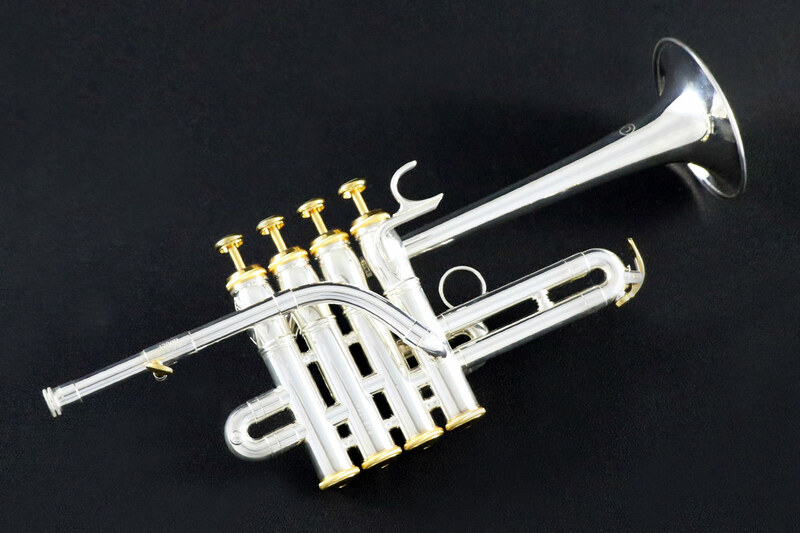 These trumpets are pitched in Bb and A an octave above a Bb trumpet, with either an adjustable leadpipe or interchangeable leadpipes to adjust for the change in key. The flugelhorn is most commonly used in jazz music, though it can also be used for brass ensemble playing. These are pitched in the same key as the Bb trumpet, and so can be used for Bb trumpet music if the mellow, warm flugelhorn sound and feel is desirable. The cornet is typically used in a wind or brass band setting, or as a solo instrument. Though they are pitched in the same key as Bb trumpets, their design ensures that cornets produce a warmer sound. Their smaller bore size can also make lips slurs more effortless, particularly in the upper register. 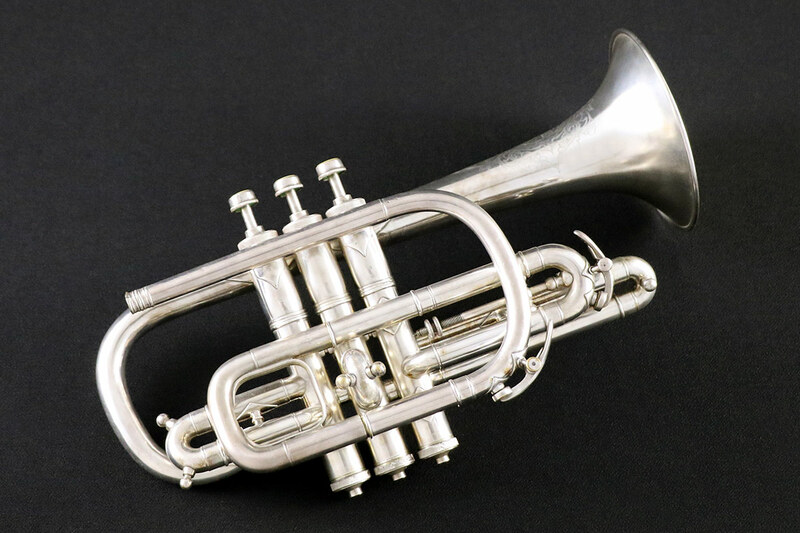 The bugle can be pitched in a variety of keys, commonly B-flat or G. Because these instruments have no valves, they are limited to playing notes within the harmonic series for that key. This means that these are nearly exclusively used for bugle calls. The bass trumpet is typically pitched in B-flat an octave below the B-flat trumpet. These are occasionally used in orchestral and trumpet ensemble repertoire, as well as sometimes in small group jazz settings.